After decades, Metro and Los Angeles World Airports—the operator of LAX—have finally figured out a way to bring rail to the nation’s second busiest airport. 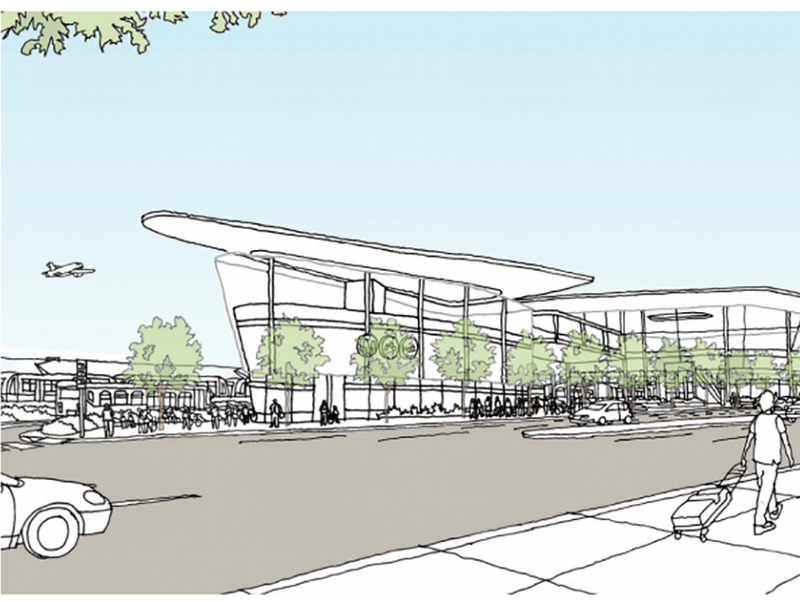 A station at 96th Street and Aviation Boulevard will be added to the under-construction Crenshaw Line; from there an LAX-built People Mover will transport travelers and workers directly to the terminals. 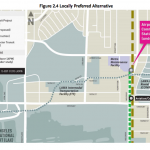 Metro just released the draft environmental impact report (PDF) for the Airport Metro Connector 96th Street Transit Station. 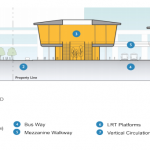 The document lays out how the station will be built and how it will connect to the People Mover. The public will have a chance to look at the report and comment on it publicly next month; from there, it will move on to the final EIR and construction. An opening could happen anywhere from 2021 to 2023, or possibly earlier, depending on whether voters in November pass a permanent extension of the Measure R transit tax that would provide more money for the 96th Street station and numerous other projects. 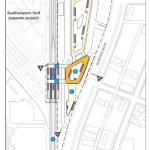 The at-grade tracks for the 96th Street station would be located at the southwest corner of the site. To move on to the airport, folks would exit the station and take elevators or escalators up to the People Mover. The station will also include a bike hub with inside parking for bikes, 20 bus bays with restrooms and food/coffee kiosks, a pick-up/drop-off area for cars, and a “Metro Hub” that would include information, maps, a security office, and more retail/vendor stands. The EIR also includes fascinating info about the People Mover. 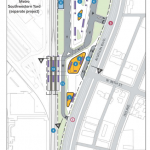 It will contain six stations; three at the airport, one at an “Intermodal Transportation Facility” (basically, a place where buses and cars can pick-up and drop-off), one at the 96th Street station, and another at a consolidated rental car facility that will cut down on vans and buses circling the central terminals. The automated People Mover will arrive every two minutes and be free for folks using the airport. That news is especially sweet, since many airports, like JFK in New York, charge fliers to use their PMs. Hallelujah!